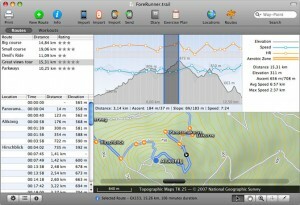 TrailRunner is a Freeware which will help you to plan your workouts. 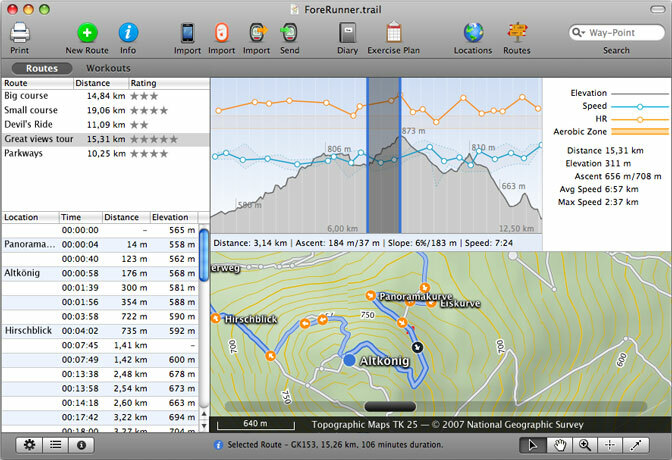 TrailRunner is a route planning software for many sports like Biking, Running etc. TrailRunner can be used as your training partner. It can calculate the route for the distance you are looking for. Later you can also export these directions to your iPod. You can use the TrailRunner with Nike + iPod sports kit. You can even rate your favorite tracks with iTunes stars. It has got many features like Excercise Planning, GPS, GPX and KML imports and exports, Mac weblog publishing with Apple Mobile Me and an Integrated map. You can load maps and background data from Internet mapping services. You can also export data from Garmin ForeRunner and Garmin Edge GPD devices. Other features include Personal Notes for Tracks, Heart Rate Monitors, Support for multiple languages, Route Sharing via GPSies.com and Watching routes in GoogleEarth.